The Bosch 5.3 ABS Pump Controller also controls the traction control (ESP) system and is a very common failing part and found fitted to a wide range of vehicles from 1994 to 2006. The ABS Pump has many names and is often referred to as: ABS Pump, ABS ECU, ABS Module, ABS Controller, ESP Pump, ESP ECU, ESP Module and ESP Controller – In instances like this when the ABS / ESP systems are combined, they are all referring to the same one unit. The Bosch 5.3 ABS Controller has an external power source to the ABS pump motor which is mounted on top of the hydraulic valve block. The ABS unit has since been upgraded on newer vehicles with the Bosch 5.7 and now the Bosch 8.0 ABS pump which has an internal power source to feed power up to the ABS pump motor. Below is a list of the common vehicles we’ve found fitted with the Bosch 5.3 ABS pump unit. Volvo S40 Volvo V40 And More..! When the ABS unit has failed, some dealers and workshops will advise on a new replacement part which will come with a 12 month warranty but the cost of new parts can be very expensive and will need programming at an additional cost. Second hand used ABS controllers are not recommended because they come with a limited 30-90 day warranty and being such a common failing part there is no real guarantee how long it will last – also the second hand used part will also require reprogramming at an additional cost. We’re able to fully test and remanufacture this type of ABS pump. We offer a fast, efficient and an affordable repair solution using new genuine OEM components to ensure that each and every rebuilt ABS module meets & exceeds OE specifications. All of our repaired ABS ECU’s come with a Lifetime warranty and will not require coding when refitting back to the vehicle. – Making our solution the preferred choice for garages and workshops around the world! Below we have compiled an extensive list of part numbers we’ve seen associated to the Bosch 5.3 ABS pumps. If you have an ABS fault or have any queries, please call us on 0844 847 9999 and we’d be happy to assist you. Tags : 0265109426, 0265109463, 0265109469, 0265109499, 0265109613, 0265216651, 0265216652, 0265216844, 0265216845, 0265220405, 0265220406, 0265220407, 0265220622, 0265220640, 0265456432, 0265950127, 0273004206, 0273004208, 0273004224, 0273004231, 0273004265, 0273004282, 0273004284, 0273004285, 0273004286, 0273004298, 0273004304, 0273004358, 0273004362, 0273004363, 0273004573, 0273004574, 0273004576, 0273004578, 0273004592, 0273004599, 0273004605, 0273004619, 0273004706, 0273004729, 0273004730, 0273004957, 0273004958, 0273004959, 0273004968, 0273004981, 0273004982, 0273005106, 0273005111, 0273005122, 0275459532, 0295450832, 0295452332, 0295455132, 0315450832, 09117173, 1273004206, 1273004208, 1273004224, 1273004231, 1273004282, 1273004283, 1273004284, 1273004285, 1273004286, 1273004304, 1273004358, 1273004362, 1273004363, 1273004573, 1273004574, 1273004576, 1273004578, 1273004592, 1273004599, 1273004957, 7516011003, 7516011004, 7516011005, 7516011007, 7516011008, 7516011011, 7516011018, 7516011020, 7516011021, 7516011022, 7516011025, 7516011026, 7516011027, 7516011028, 7516011030, 7516011033, 7516011034, 7516011035, 7516011036, 7516011037, 7516011038, 7516011040, 7516011041, 7516011042, 7516011043, 7516011044, 7516011045, 7516011046, 7516011047, 7516011048, 7516011076, 7516011099, 7516011124, 7516011156, 7516011157, 7516011158, 7D0907389B, 8D0907389, 8D0907389A, 8D0907389D, 8E0614111AE, 8E0614111A​H, 8E0614111AN, 8E0614111AQ, 8E0614111AR, 8E0614111B, 8E0614111E, 8E0614111F, 8E0614111G, 8E0614111H, 8E0614111J, 8E0998375, 8E0998375B, 8E0998375K, 9117173, 9127100, A 029 545 2232, A0265456332, A0265456432, A0275459532, A0295450832, A0295452332, A0295455132, A0315450832, A4 1.6 10.1996 -. 07.1999, A4 1.8 04.1995 -. 06.2000, A4 1.8 11.1994 -. 04.1999, A4 1.8 Avant quattro 04.1999 -. 09.2001, A4 1.8 Avant quattro 07.1995 -. 09.2001, A4 1.8 Avant quattro 08.1998 -. 06.2000, A4 1.8 quattro 02.1999 -. 06.2000, A4 1.8 quattro 02.1999 -. 10.2000, A4 1.8 quattro 07.1995 -. 10.2001, A4 1.8 T 11.1994 -. 07.1998, A4 1.8 T Avant, A4 1.9 TDI 02.1996 -. 07.1999, A4 1.9 TDI 03.1996 -. 06.2000, A4 1.9 TDI 08, A4 2.4 07.1995 -. 07.1997, A4 2.6 11.1994 -. 07.1998, A4 2.8 03.1996 -. 12.1998, A4 2.8 11.1994 -. 07.1997, A6 1.9 TDI 04.1997 -. 08.1999, A6 1.9 TDI 06.2001 -. 05.2004, A6 2.0 06.2001 -. 05.2004, A6 2.4 04.1998 -. 04.2001, A6 2.4 06.2001 -. 05.2004, A6 2.4 Avant 06.2001 -. 01.2005, A6 2.4 Avant 11.1998 -. 06.2000, A6 2.4 Avant quattro 11.1998 -. 05.2001, A6 2.4 quattro 11.1998 -. 05.2000, A6 2.5 TDI 10.1999 -. 08.2003, A6 2.5 TDI Avant 10.1999 -. 08.2003, A6 2.8 10.1997 -. 05.2000, A6 2.8 Avant 11.1998 -. 04.2001, A6 2.8 quattro 04.1998 -. 05.2000, A6 3.0 06.2001 -. 05.2004, A6 3.0 Avant 06.2001, A8 2.8 quattro 03.1996, A8 3.7 quattro 10.1995 -. 12.1998, A8 4.2 quattro 06.1994 -. 12.1998, Almera 1.5i Hatchback 01.2000 -. 07.2002, Almera 1.5i Sedan 03.2001 -. 07.2002, Almera 1.8i Hatchback 01.2000 -. 07.2002, Almera 1.8i Sedan 03.2001 -. 07.2002, Almera 2.2 Diesel Turbo Hatchback 01.2000 -. 02.2003, Almera 2.2 Diesel Turbo Sedan, Astra 2.0 MPFI 10.1998, Astra 2.0 SFI 16V 02.1999 -. 06.2005, Astra Sedan 2.0 MPFI 10.1998, Astra Sedan 2.0 SFI 16V 02.1999 -. 03.2004, Calais 09.1997 -. 05.1999, Caprice 06.1999 -. 07.2001, Catera 3.0 10.1996 -. 12.2001, Commodore 09.1997 -. 05.1999, Daily 2009 3 125 kW 06.2009 -, Daily 35 S 17 06.2009 -, Daily 55 S 17 06.2009 -, E 200 06.1995 -. 02.2001, E 200 CDI 07.1998 -. 03.2002, E 200 CDI 07.1999 -. 03.2002, E 220 CDI 07.1998 -. 05.1999, E 220 CDI 07.1999 -. 03.2002, E 220 CDI T-Modell 07.1998 -. 05.1999, E 220 CDI T-Modell 07.1999 -. 01.2003, E 270 CDI T-Modell 06.1999 -. 01.2003, E 320 03.1997 -. 05.1999, E 320 07.1999 -. 08.2003, E 320 T-Modell 03.1997 -. 05.1999, E 320 T-Modell 07.1999 -. 01.2003, E 430 09.1997 -. 05, E 430 T-Modell 09.1997 -. 05.1999, E 55 AMG T-Modell 03.1998 -. 05.1999, Monaro 12.2001 -. 12.2002, Omega 2.0 DTI 09.1997 -. 08.2000, Omega 2.0 DTI Turbo 09.1997 -. 08.2000, Omega 2.0 i 04.1994 -. 08.1998, Omega 2.5 i 04.1994 -. 11.2000, Omega 2.5 TD 04.1994 -. 02.2001, Omega 2.5 TDI 04.1996 -. 09.2004, Omega 3.0 i 04.1994 -. 02.2001, Omega 3.8 V6 03.1998 -. 05.2005, Passat 1.6 10.1996 -. 11.2000, Passat 1.8 01.1997 -. 11.2000, Passat 1.8 12.1996 -. 01.1999, Passat 1.8 Turbo 10.1996 -. 11.2000, Passat 1.9 TDI 10.1996 -. 11.2000, Passat 2.3 10.1996 -. 11.2000, Passat 2.8, S40 I 1.6 16V 01.1997 -. 07.1999, S40 I 1.8 16V 09.1997 -. 07.2000, S40 I 1.9D 05.1996 -. 07.1999, S40 I 2.0 16V 09.1995 -. 07.1999, Statesman 06.1999 -. 07.2001, Superb 1.8 T 12.2001 -. 03.2008, Superb 1.9 TDI 12.2001 -. 03.2008, Superb 2.0 12.2001 -. 03.2008, Superb 2.0 TDI 10.2005 -. 03.2008, Superb 2.5 TDI 12.2001 -. 08.2003, Superb 2.8 12.2001 -. 03.2008, Terrano II 2.4i 4x4 05.1996 -. 12.2006, Terrano II 2.7 Diesel Turbo 4x4 01.1996 -. 12.2006, Terrano II 2.7 TD 4x4 11.1998, V40 I 1.8 16V 08.1997 -. 07.2000, V40 I 1.9D 01.1996 -. 07.1999, V40 I 2.0 01.1996 -. 07.1999, Zafira 2.0 MPFI 04.2001, Zafira 2.0 MPFI Flexpower 03.20, Zafira 2.0 SFI 16V 04.2001 -. 06.2005. I have a failed ABS unit on my 1999 Volvo V40. Can you please tell me how much it would cost and how long to get it back. 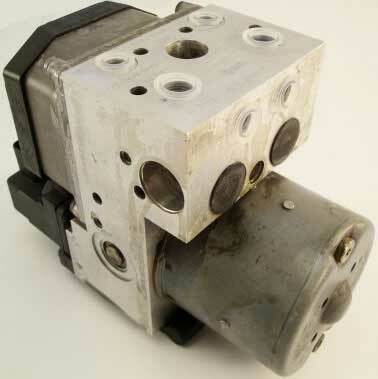 We’ve sent you an email with full pricing and information for the repair of your Volvo V40 ABS Pump. We’ve sent you an email with pricing and information for the test and repair of your ABS unit. What other unit can replace him ??? I have sent over an email now with pricing and further information. 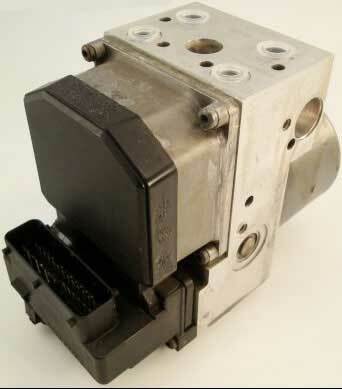 I have just sent over an email now for further information regarding the ABS / ESP Pump for your Mercedes E240. We’ve sent you an email with full pricing and information for the repair of your Bosch 5.3 ABS module. I have an abs unit with this number 8D0 907 389 D. ABS light is on. What will repair an shipping back to Denmark cost? We’ve sent you an email with full information and pricing for you. Hi I have Isuzu trooper 3.0 1999 with no communication with abs pump via obd and dash light on ,abs does not work so suspect abs ecu can you tell me the cost to repair rebuild this pump please ? We’ve repaired plenty of ABS modules from the Isuzu Trooper and no communication is a very common failure symptom. We’ve sent you an email with full pricing and information for the test and repair of your ABS pump.